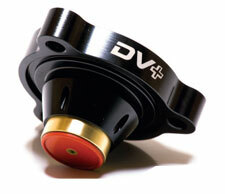 DV+ Diverter Valve for 1.4 TSI Twin Charged Engines with TMS advantage. 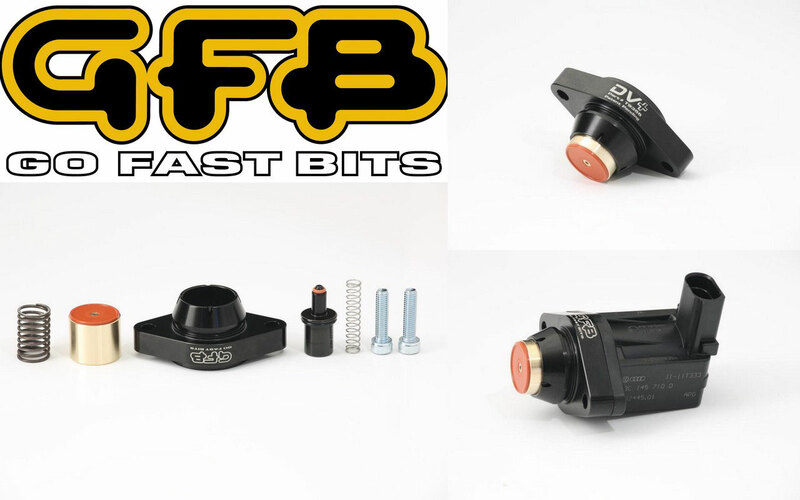 GFB DV+ Diverter valve (part number T9355) is a direct replacement for the factory valve on late model VAG and Euro applications. (Patent Pending). This Direct fit replacement for the factory diverter valve uses the existing solenoid with TMS advantage. Works with stock hardware, improves performance and reliability. Exclusive pilot activation system allows HIGHER boost pressure. The end result is sharper throttle response, lightning-fast valve actuation, and the ability to hold as much boost as you can throw at it. Diverter valves, but with more! GFB’s DV+ range is designed as a direct bolt-on replacement solution for problematic factory recirculating diverter valves. 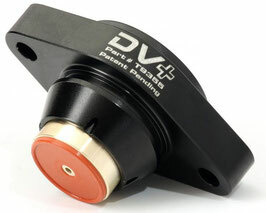 Not only do DV+ valves eliminate failure issues from high temperature and boost pressure, they also offer the TMS advantage of improved throttle response and boost holding. 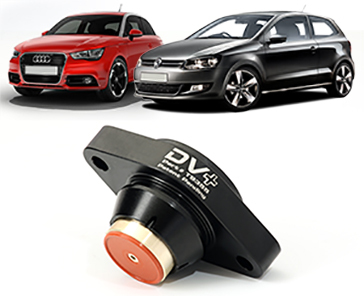 Introducing the new DV+ for 1.4 TSI Twin Charged Engines! The solenoid coil itself from the factory-fitted valve is great (the ECU opens it faster than any pneumatic valve, so why replace it? ), the weak point however is the valve mechanism itself. GFB’s DV+ solves this problem, by replacing only the valve parts with an anodised billet aluminium housing fitted with a brass piston machined to exacting tolerances.